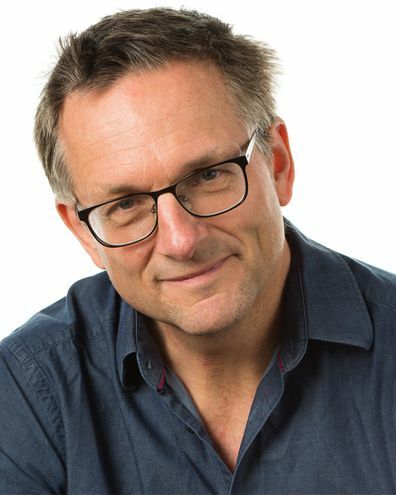 Michael Mosley is the doctor-turned-journalist who popularised the 5:2 diet — the intermittent fasting regimen which wasdismissed as a fadafter he introduced it in 2012. Yet Mosley famously credits 5:2 with helping him strip off more than 10kg and reversing his type 2 diabetes, and now claims the diet has been scientifically proven to help thousands of people lose weight and keep it off. His new weight-loss plan is the Fast 800, outlined in the book and paid online program of the same name: Mosley touts it as his strongest work yet, underpinned by large studies conducted by well-regarded scientists. "It's the culmination of the last seven or eight years of science," he tells Coach. The Fast 800 balances several elements familiar to readers of Mosley's earlier books, The Fast Diet and The 8-Week Blood Sugar Diet. First, it prescribes a very-low energy diet for several weeks, before switching to what Mosley calls the "new" 5:2 diet, which blends intermittent fasting with time-restricted eating protocols. Lastly, he advocates the Mediterranean diet. He's right that there is solid science backing up the diet plan. The Fast 800 is founded on a short-term daily allowance of (unsurprisingly) 800 calories/3,300 kilojoules, far beneath the average adult's 2000-calorie/8,700kj daily requirement. Mosley dubs 800 the "magic number" for weight loss — low enough to trigger metabolic changes, but high enough to be satisfying and sustainable. The number is drawn from two major UK studies published in 2018: the DiRECT trial, led by Newcastle University professor Roy Taylor; and the DROPLET trial, led by Oxford University professor Susan Jebb. In both trials, overweight participants who endured 800-calorie-a-day diets for several months lost about 10kg, on average, then kept it off over a year. That outcome was deemed so impressive that the NHS now plans to test 800-calorie diets on a further 5,000 people as a fix for type 2 diabetes, which can be prevented and treated via weight loss. "The evidence [for very low-energy diets] is now really, really strong," says Mosley. Very low-energy diets, or VLEDs, look superficially similar to crash diets: the practice of cutting way back on food — all food — that nutritionists have long warned against. "In the bad old days they had some pretty terrible crash diets, like the cabbage soup diet," Mosley says. "The [nutritional] approach they had in these diets was either non-existent or it was unbelievably poor. It gave the whole idea of rapid weight-loss dieting a terrible, terrible name." But rather than only permitting a cube of cheese when you think you're about to faint, VLEDs are carefully planned to ensure a supply of essential nutrients: You still eat a healthy and balanced diet, you just eat much less of it. Mosley says this emphasis on nutrition means you lose mostly fat, rather than muscle and bone density. To ensure sound nutrition, DiRECT and DROPLET both fed participants meal replacements — carefully formulated shakes, soups and bars — while the rapid weight-loss phase of the Fast 800 ideally recommends a Mediterranean-style diet (more on that below). Health experts have long maintained that slow and steady weight loss — at a rate of 0.5 to 1kg per week — is the best and safest way to go. But a 2013 paper in the New England Journal of Medicine declared that a myth, and researchers such as Jebb argue it's time to abandon the slow-and-steady guidelines as obesity rates soar. "It used to be [said that] the way to lose weight is to do it gradually. The trouble is people don't, because what happens is they get bored and then they give up and they become disillusioned," says Mosley. He claims that, in two weeks on 800 calories a day, followers can expect to lose up to 5kg. "The feedback is it is so rewarding," he says. Anyone embarking on a VLED (or any major diet or lifestyle change, for that matter) should consult a dietitian or healthcare provider beforehand — especially if you have an existing medical condition, such as diabetes or high blood pressure. Participants in both DiRECT and DROPLET were overseen by professionals who tracked their health and supported them on their diets. Several dietitians have told Coach that intermittent fasting is among the nutrition topics their clients are most curious about: it's hyped not just for its purported weight-loss powers, but other health benefits of calorie restriction. Intermittent fasting is exactly what it sounds like — periods where you fast, followed by periods where you "feast". It comes in many flavours: alternate-day fasts, alternate-fortnight fasts, and even "fasting-mimicking" diets where you only fast a few times a year. Mosley backs a type called the 5:2 diet, aka the Fast Diet, where on two non-consecutive days a week you slash calories to about a third of your energy requirement; and on the remaining five days you eat normally, without tracking intake or counting calories. Studies examining the 5:2 diet as a weight-loss strategy offer some promise. Diabetic participants in a University of South Australia trial who followed the diet lost an average 7kg over a year, mostly in the first three months. But in that same study, control participants who cut back a little on how much they ate every day — the more traditional approach to dieting — lost almost the same amount of weight, a finding mirrored in another study published late last year. So while the 5:2 diet may work for some, it doesn't seem to be a weight-loss miracle. That may be because it's tough to stick to, a criticism levelled against it by a team of nutritionists recruited by US News and World Report, who ranked the Fast Diet 33rd out of 41 in their list of diets. To boost adherence, Mosley has tweaked the 5:2 diet a little: while it used to prescribe around 500-600 calories, the "new" version of the diet ups that allowance to the magic 800. An extra 200 or so calories might not sound like much, but could make all the difference to some. In The Fast 800 Diet, Mosley argues that 5:2 offers an alternative weight-loss strategy for those who haven't had much luck with traditional dieting — and that, unlike traditional dieting, it's an easier strategy to resume if you've fallen off the dieting wagon. "It may not work for everyone, but it's working a hell of lot better than most [other diets]," he says. Most people eat over about a 14-hour window, only taking a break to fast overnight when they're asleep. Time-restricted eating shortens that eating window. How short the window is depends on your tastes. At the easier end is a 12-hour eating window, followed by a 12-hour fast — breakfast at 8am and dinner by 8pm, for example. At the tougher end is a mere four-hour eating window, followed by a 20-hour fast (the so-called Warrior diet, whose adherents typically consume mega-meals in the evening). The most talked-about variation (and the one endorsed by celebrities including Hugh Jackman) is the 16:8 diet, where you fast 16 hours then eat within the remaining eight. "The idea is that you extend your overnight fast — stopping eating at say 7 o'clock at night and then you don't start eating until 11 o'clock in the morning," Mosley explains, adding that you're still permitted to drink liquids outside the eating window, so long as they're calorie-free. "You can get water, black tea, black coffee, but no calories." Small studies indicate people can lose modest amounts of weight without counting calories on the 16:8 diet — if they can stick to it. And that's a big if: squeezing all your food within eight hours means you either have to skip breakfast or skip dinner, an untenable disruption to most people's schedules. "For most human beings, 16:8 is not practical," Mosley says. "Nobody sticks to it. It's just too bloody hard unless you are really, really dedicated." So for the Fast 800, he makes a slightly more lenient recommendation: 14 hours of fasting and 10 hours of feasting, a window that allows for a late breakfast and an early dinner. Mosley says he settled on 14:10 after consulting Satchin Panda, a US biology professor who studies the body's built-in clock. His research (summarised in his own book, The Circadian Code) suggests you're best off closing your eating window three hours before bedtime, and exercising in the morning while you're still in a fasted state. "Then you're going to go into fat-burning mode," Mosley says. "We're a bit like a hybrid car which has electricity and has gas — when the electricity goes down, the gas takes over." "Most of us never ever get to [burning fat], because we are just stuffing our faces from dawn until dusk," Mosley says. Fasted exercise (particularly fasted aerobic exercise, aka fasted cardio) does appear to oxidise, or burn, more fat — but that may not necessarily translate into greater fat loss than non-fasted exercise, according to small studies. So while time-restricted eating may benefit overall health, it might not be any better for straight-up fat loss than just eating less, at any hour of day. The Mediterranean diet is the least controversial aspect of the Fast 800 diet: there's a trove of research demonstrating its benefits, and US Newsdeemed it the best overall diet. "In the really long-term studies where they compare low-fat, very low-carb, Atkins or Mediterranean, the only group who lose weight and keep it if off long term are the Med dieters," Mosley says. Mediterranean diet isn't the best name for it — there are no over-the-top food restrictions, rules, or other hallmarks of a conventional diet — though it's admittedly catchier than Mediterranean-inspired pattern of eating, which better sums up the approach. "You're eating olive oil, a glass or two of red wine, lots of nuts, lots of decent protein — chicken, oily fish — but also legumes, like kidney beans, and lentils," Mosley says. "That's what I want people to switch to." And while he's no fan of extreme low-carb diets for weight loss, such as the ketogenic diet ("the studies are underwhelming, let's put it that way"), he does advocate a "low-ish" carb version of the Mediterranean diet. "I mean about 40 percent carbs, 40 percent fat and 20 percent protein," he says. In practice, "low-ish" carb basically means going light on refined carbohydrates — things like sugar, bread, pasta (which Mosley rarely eats). He stresses it's vital to keep eating high-carb foods such as vegetables, fruit, legumes and particularly whole grains, to deliver the body much-needed fibre. "Your gut absolutely needs fibre. It needs lots of it," he says. Will you lose weight on the Fast 800 diet? You'll lose weight on pretty much any diet — in the short run. Whether you can lose weight and keep it off in the long run depends on whether the diet is nutritionally balanced, satisfying and practical enough for you to stick to. Mosley adds that the Fast 800 isn't just about food and weight loss. It also prescribes "decent amounts: of physical activity" (even on the VLED stage), as well as mindfulness elements to reduce stress, improve sleep and build strong relationships — be it with a romantic partner or with a dog. "A lot of [the Fast 800 book and online course] started with tips I picked up down the years from talking to specialists," Mosley says. "Things about how you keep [weight] off, how do you deal with your cravings, how do you prevent yourself reverting to the bad old ways, which is absolutely 100 percent critical." The Fast 800's online program costs $175. If you're keen to test it, Mosley has offered a 20 percent discount to Coach readers using the code f8009coach20. CORRECTION: An earlier version of this article incorrectly stated diabetes can be prevented and treated via weight loss. This is not true of type 1 diabetes, an autoimmune disease where the immune system attacks and kills the insulin-making cells in the pancreas.